New name, same concept. Too many plans for the weekend? Let me narrow your options down by weekly suggesting the events where you can meet, dance and drink with Amsterdam’s finest crowds. After all, ‘a hangover ain’t worth the pain if the party is lame’. So here’s where you weekend warriors should go to make it worth your damn hangover. Literally nobody can hate on ’80s, ’90s and 00s hits (or guilty pleasures, as they’re also referred to). They rewind time and take you back to either your childhood or your teenage years, when people weren’t so hypercritical about their (and others’) taste in music. 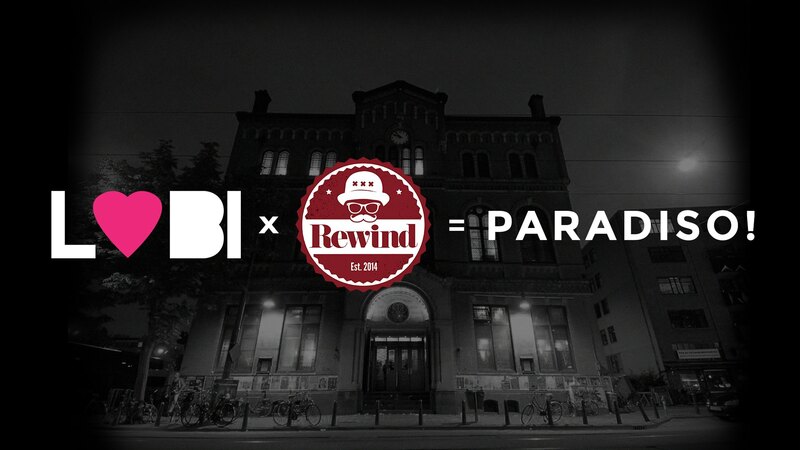 At Paradiso these tunes will be celebrated with the anniversary of both LOBI and Rewind. You can expect a hint of Sisqo and Montell Jordan, some sprinkles of J-Lo and Kelis, and a lot of other intimate musical flirtations. Surely it’ll provide for a happy vibe. Oh, and Jäger, there will also be Jäger! Cirkel invited Berlin-based record store Bikini Waxx to cater some music at Radion. Our neighbors from the east definitely curate the top shelf of the underground, which you can check out here. Owner Kim and store manager Yannik will probably bring along a well-filled case with quality records from that same collection. If that doesn’t give you enough excitement for this Saturday, the Berlin boys are accompanied by Qnete, affiliated with the infamous label Lobster Theremin, which I just recently got familiar with. (Yes, I’m aware that I’m kinda late to the party). To top it off, Cirkel’s Harley Doorson and Maksi represent the Dam. These elements already promise Saturday to become a steamy night full of great gems that’ll pack the floor (and stairs) of the Bovenkamer.